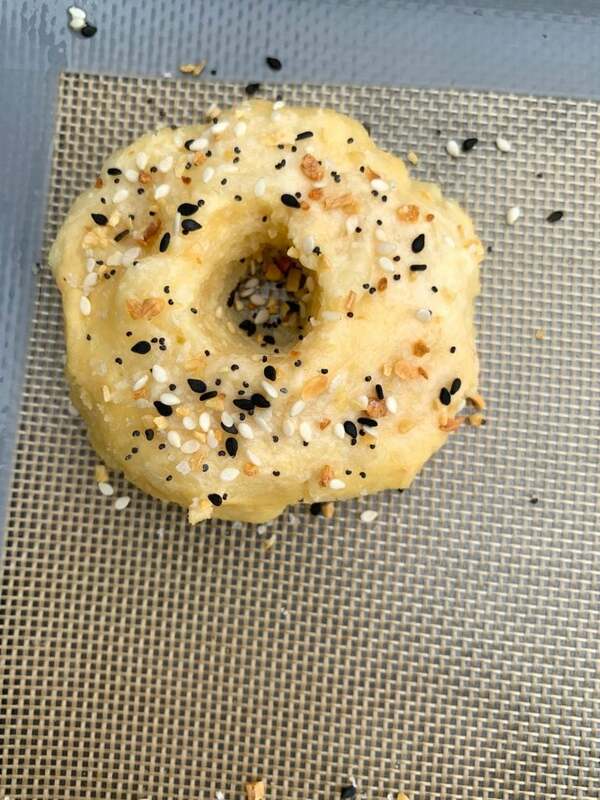 Easy, Keto Low-Carb Almond Flour Gluten-Free Bagels is the best quick recipe for fathead dough bagels that are practically carb-free. 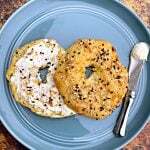 Each grain-free bagel is loaded with flavor and seasoned with Everything, But the Bagel Seasoning and has 2 net carbs. 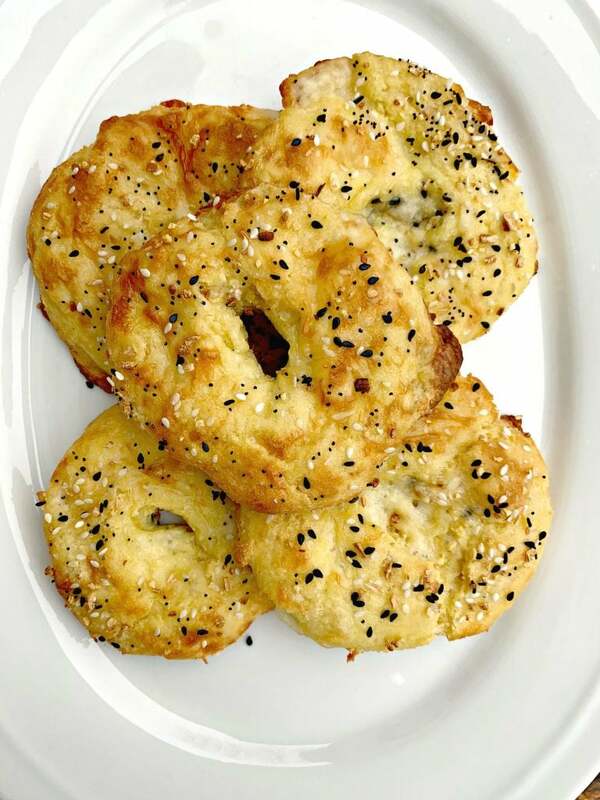 These bagels are not low-calorie, but provide a great option for low-carb, carb-free bread. Everyone is tired of eating the same breakfast. Trust me, I get it. 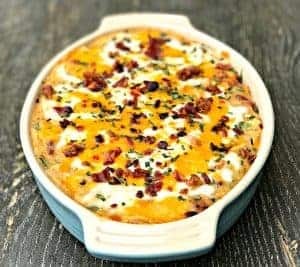 Bacon and eggs are only good for so long. 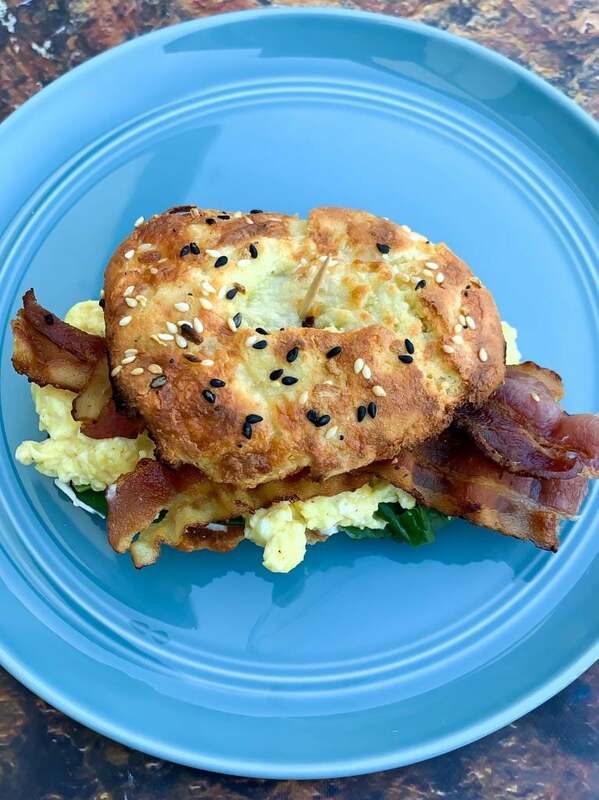 But what if you piled your bacon and eggs onto a bagel? 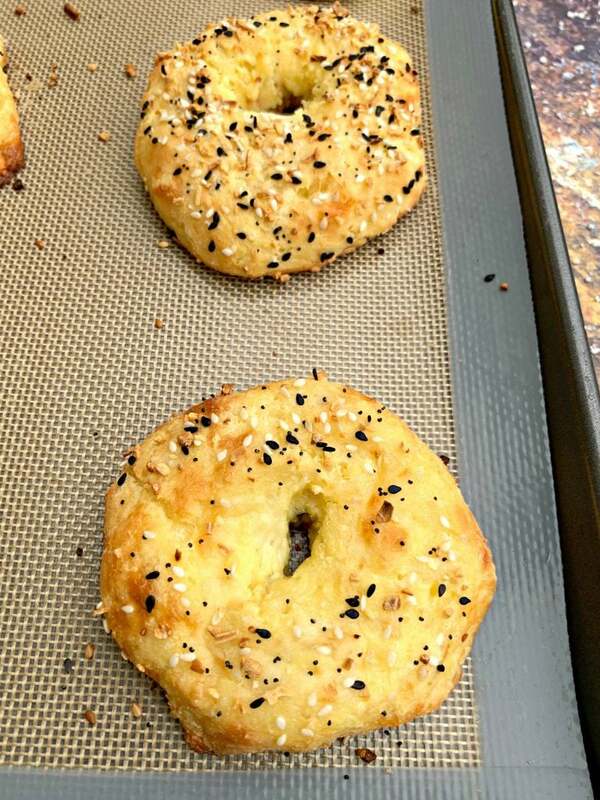 A KETO BAGEL! That’s exactly what I did. I added fresh spinach, too! 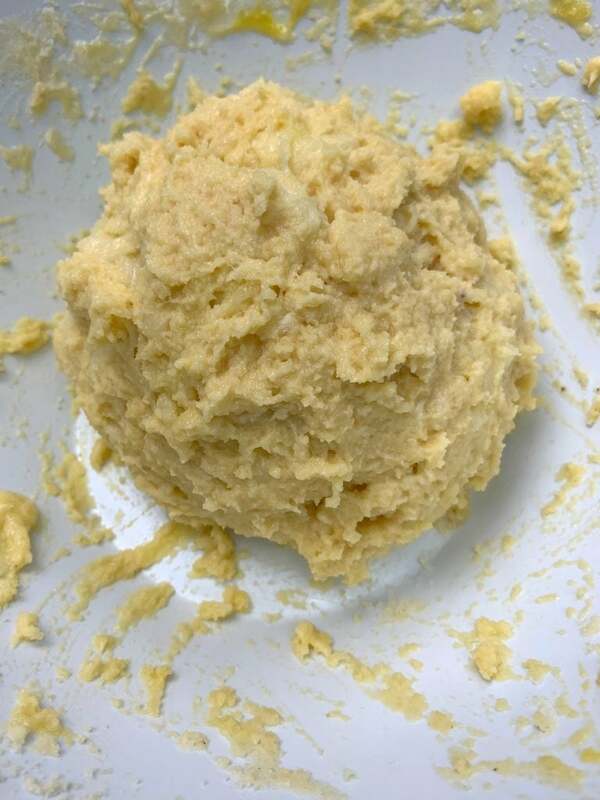 Stir and combine to form a dough. 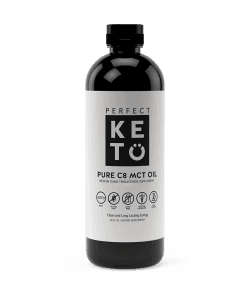 How Many Carbs Are in a Keto Bagel? 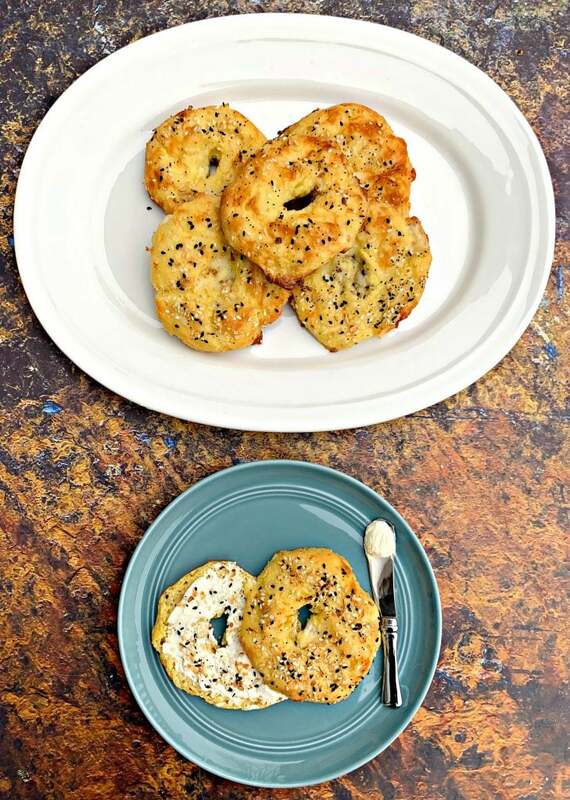 There are 2 net carbs in these keto fathead bagels, compared to 44 net carbs in traditional bagels. Which Bread Has the Least Amount of Carbohydrates? 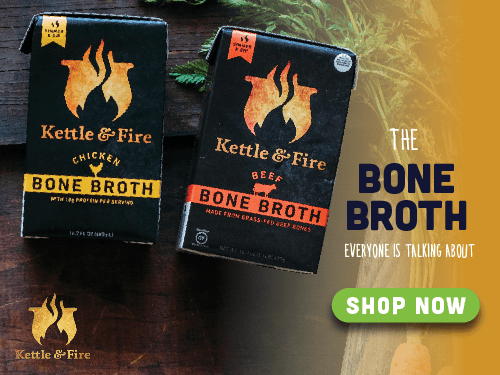 Ezekial Flax bread is pretty low in carbs, but not low enough for ketosis (in my opinion). 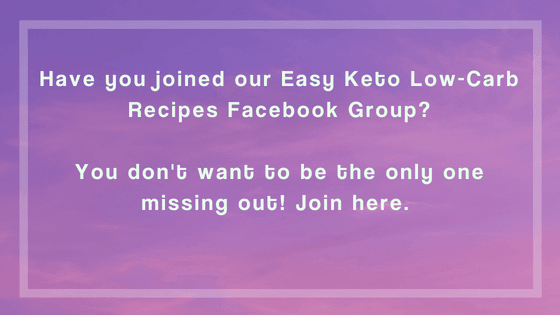 You can read more about Ezekial Bread and Sugar Free Staples here. Fathead dough can go a long way. 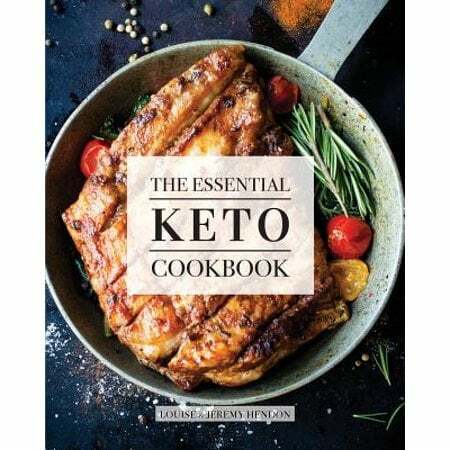 I’ve used it to make Keto Biscuits, Keto Cinnamon Rolls, and Keto Pizza. 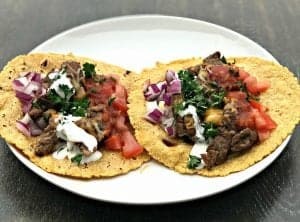 Do You Use Coconut or Almond Flour for this Recipe? I recommend almond flour. 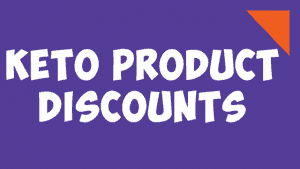 Coconut and almond flour absorb moisture differently. 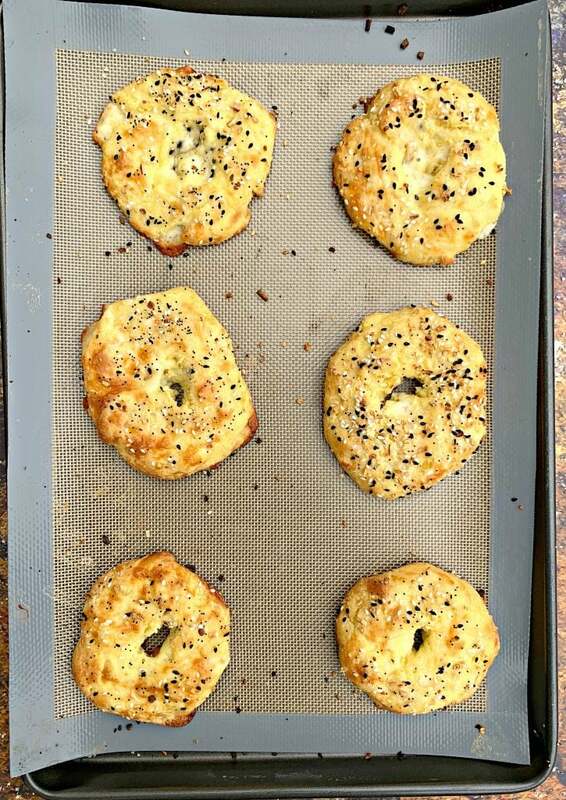 How Do You Store Keto Bagels? 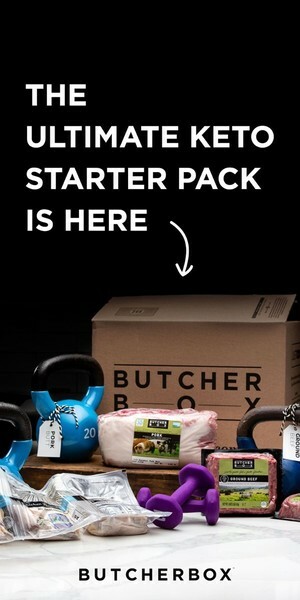 I store mine in sealable plastic bags in the fridge. Watch the video instructions above. Add the almond flour and baking powder to a large bowl. Stir to combine. Add the cream cheese and shredded mozzarella to a separate bowl. Microwave for 60 seconds. Remove from the microwave and stir. Add in the egg. 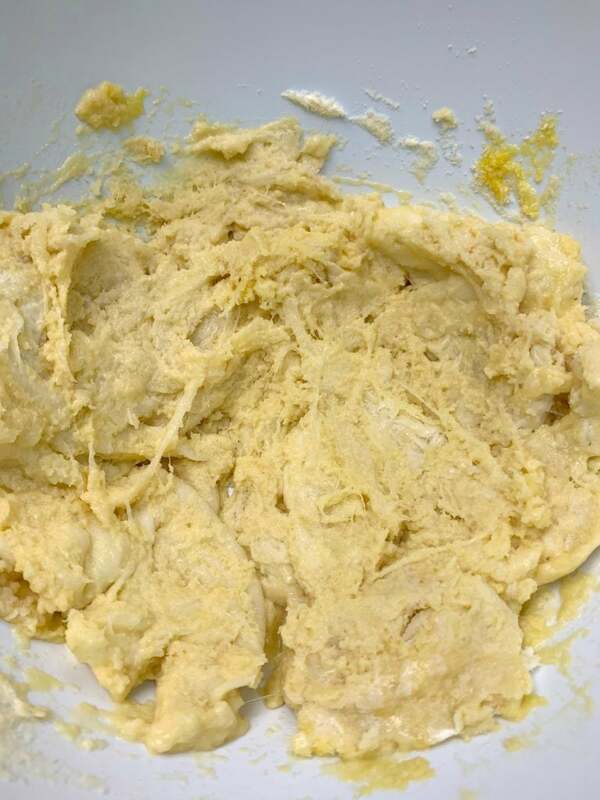 Stir until the mixture forms dough. Ensure the cheese is fully melted and mixed. 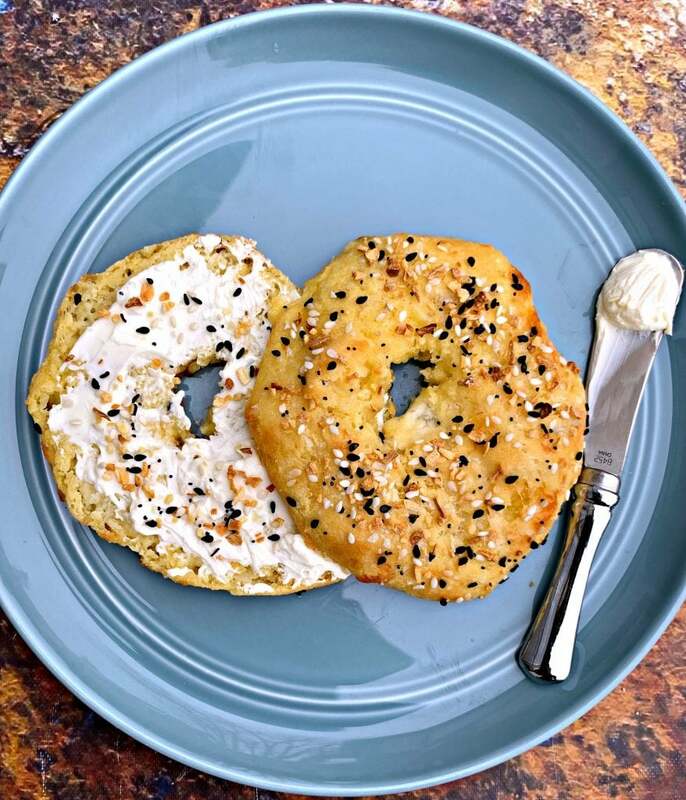 If there are large pieces of cheese, they will form on the outside of the bagel. Remove from the microwave and stir. Add in the egg. Wet your hands with water. 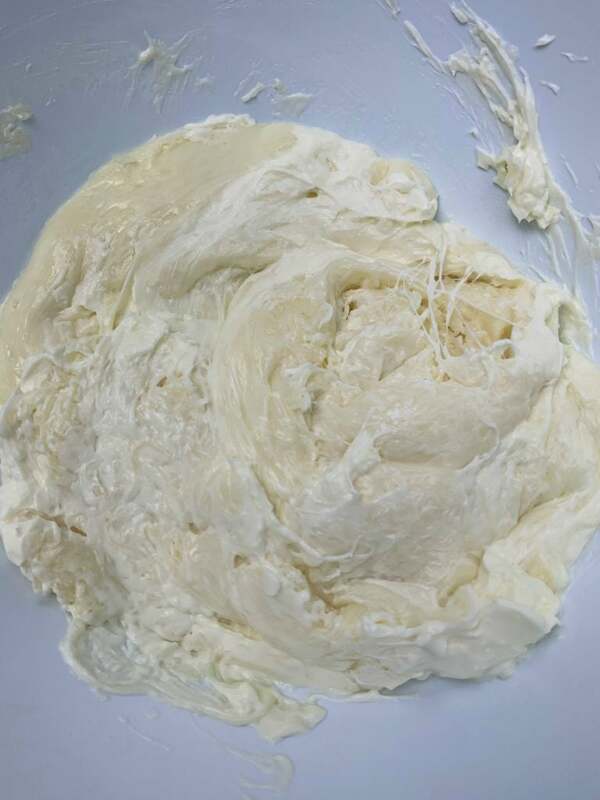 Knead the dough with your hands to form one large ball. 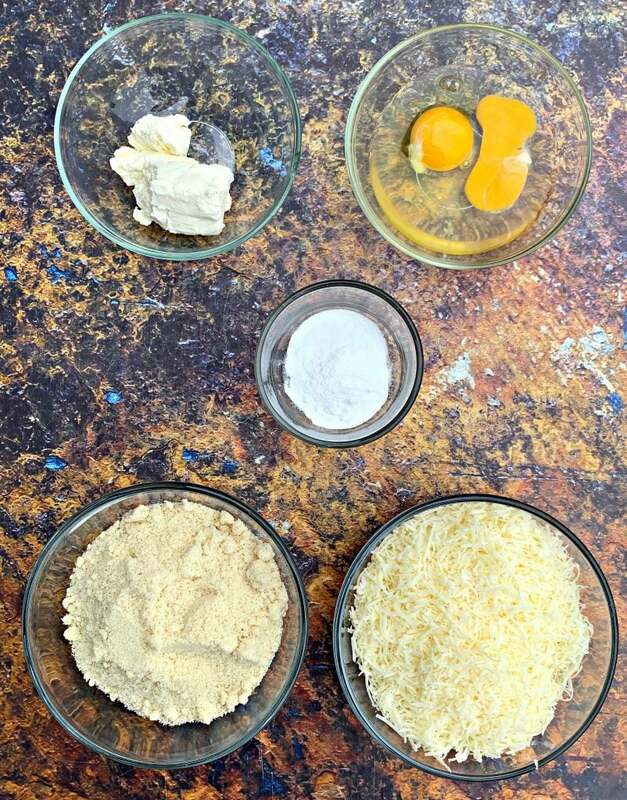 Use a silicone spoon to scoop out 8 balls of dough. You will likely need to wet your hands in between forming each ball. 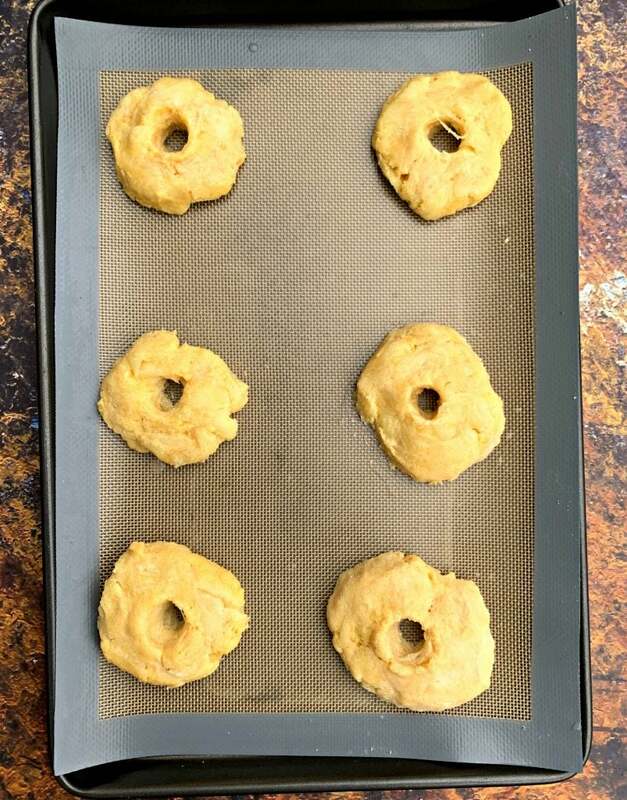 Place them on the silicone baking mat. Use your fingers or a butter knife to create a circle in the middle of each ball. 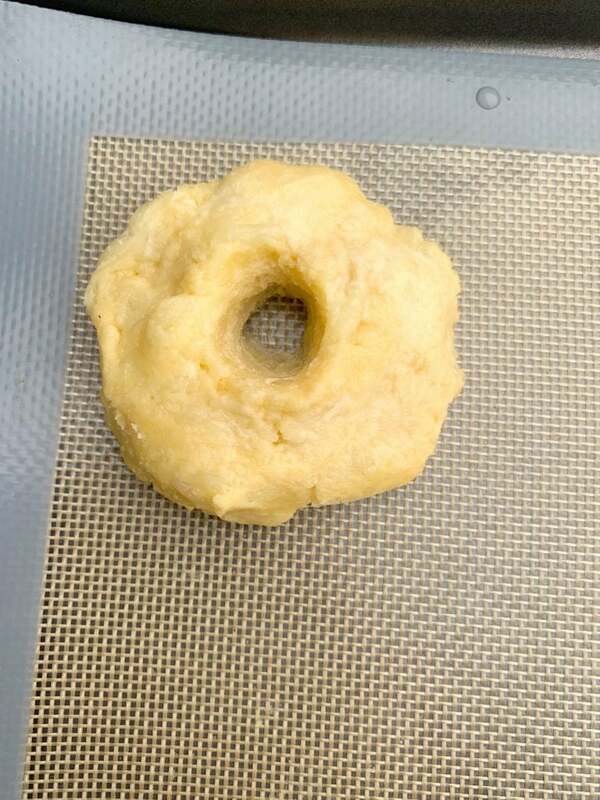 As the dough bakes and rises in the oven, the holes will close up some. 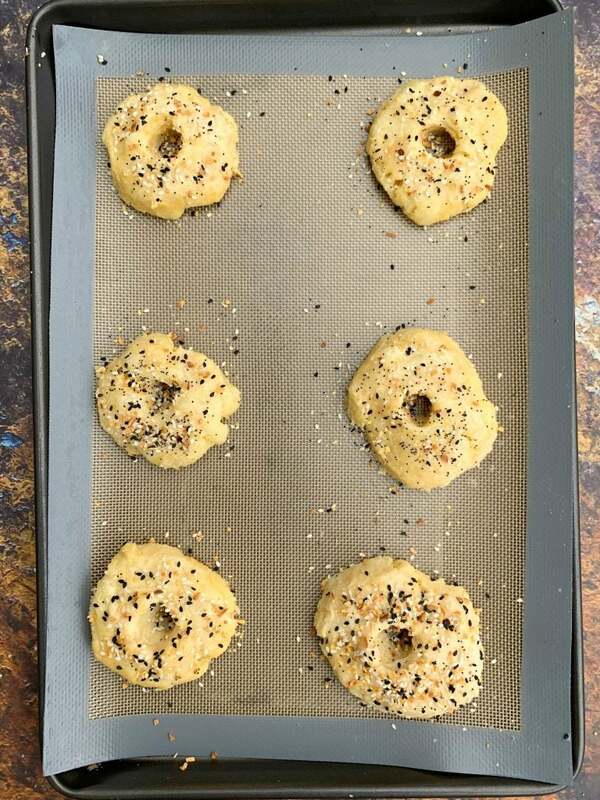 Be sure to make the holes large enough so that when the dough rises and spreads the bagel doesn't close completely. You can also check in on the bagels while they are in the oven. If you see the circles closing up, use a knife to open them back up. Wet a cooking brush or your hands and wet the top of each bagel. This will help the seasoning stick. 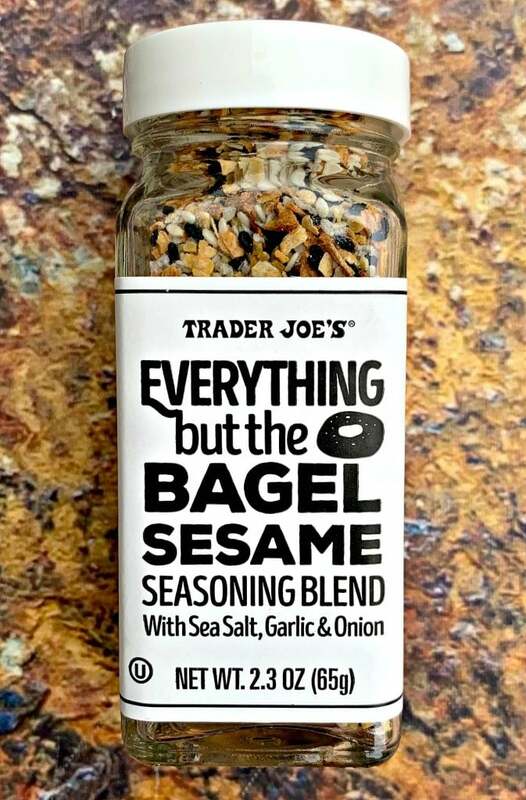 Sprinkle the Everything but the Bagel Seasoning throughout each bagel. Bake for 15-20 minutes until golden-brown. Mine were ready right at 20 minutes. 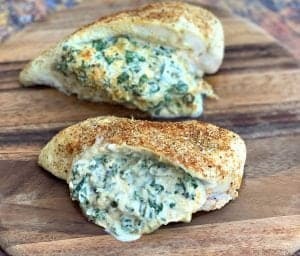 Tip: If you are looking for more savory flavor, add a teaspoon of Italian seasoning to the cream cheese and mozzarella mixture before forming dough. 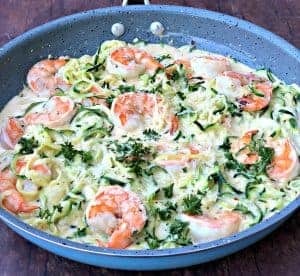 Nine net carbs is a huge difference and does not sound accurate if you followed the recipe. 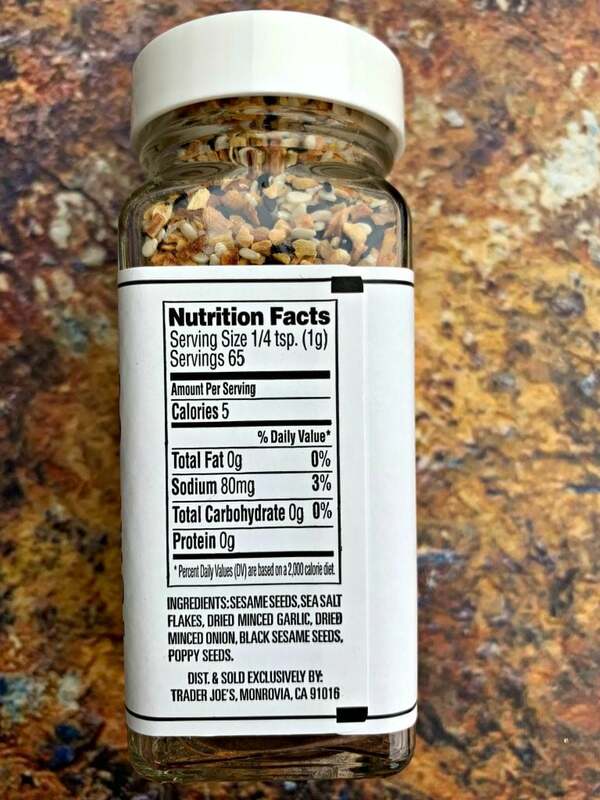 Please list the exact brands you used in the recipe along with your amounts and servings used in your calc.